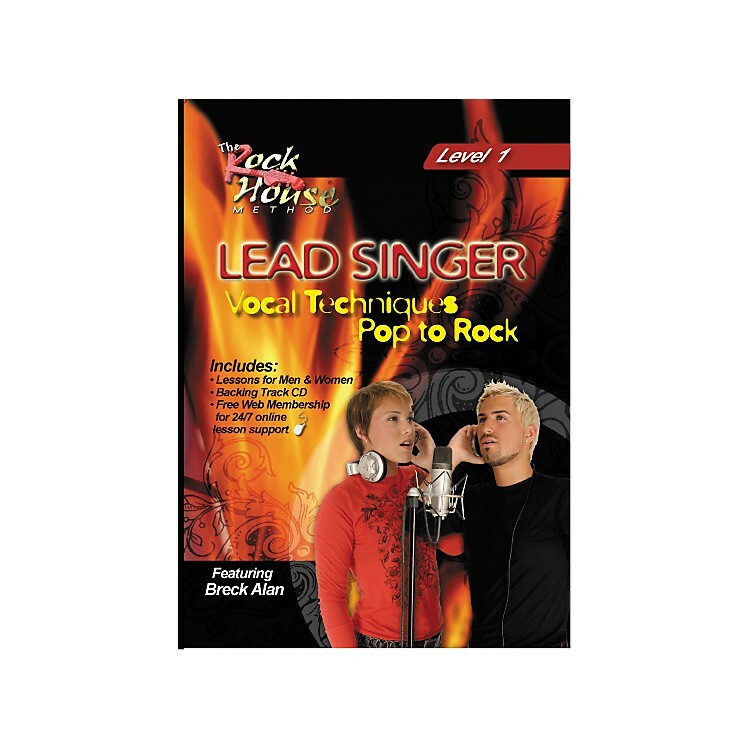 Designed by renowned vocalist/instructor Breck Alan, this comprehensive four-part learning system integrates DVD, Audio CD, Booklet, and 24/7 online support for an effective learning experience. You start with singing basics like proper posture, relaxing, how breath control really works, and how male or female vocalists can find and develop their full singing range. Breck will show you his personal warm-up routines and vocal exercises that will bring your voice to its highest performance level while maintaining vocal health. You'll develop techniques for coordinating your voice to sing in all styles from the studio to the stage. Each Rock House video Includes a lesson tab booklet, iPod-ready video, and free lifetime membership to Rock House's online lesson support. Enhance your learning experience to links with instructors, download backing tracks, access message boards, and much more. You'll connect with a community of musicians around the world learning to play music using The Rock House Method.